Reflecting growing national acceptance of cannabis, a bipartisan coalition of House members voted early Friday to restrict the Drug Enforcement Administration from using funds to go after medical marijuana operations that are legal under state laws. An appropriations amendment offered by Rep. Dana Rohrabacher (R-Calif.) prohibiting the DEA from spending funds to arrest state-licensed medical marijuana patients and providers passed 219-189. The Senate will likely consider its own appropriations bill for the DEA, and the House amendment would have to survive a joint conference before it could go into effect. Rohrabacher said on the House floor that the amendment "should be a no-brainer" for conservatives who support states' rights and argued passionately against allowing the federal government to interfere with a doctor-patient relationship. "Some people are suffering, and if a doctor feels that he needs to prescribe something to alleviate that suffering, it is immoral for this government to get in the way," Rohrabacher said, his voice rising. "And that's what's happening." The debate pitted three House Republicans who also are doctors against one another. Rep. Andy Harris (R-Md.) and Rep. John Fleming (R-La.) opposed the amendment, while Rep. Paul Broun (R-Ga.) supported it. Harris insisted that there were no medical benefits to marijuana and that medical marijuana laws were a step toward legalizing recreational pot. "It's the camel's nose under the tent," said Harris. 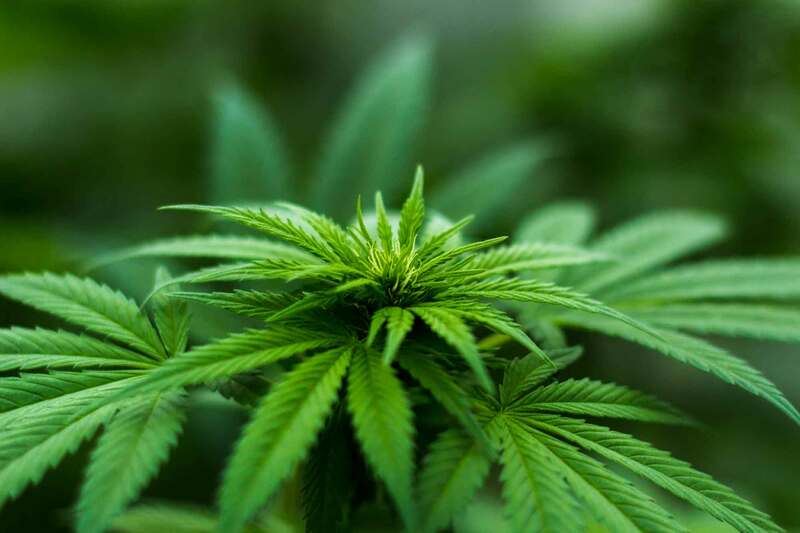 He cited piece of anti-marijuana propaganda published by the DEA this month that claimed medical marijuana was just "a means to an end" -- the eventual legalization of marijuana for recreational purposes. The taxpayer-funded report uses scare quotes around the word "medical." "I don't think we should accept at all that this is history in the making," said Fleming, who lamented earlier this month that it wasn't realistic to make alcohol illegal. 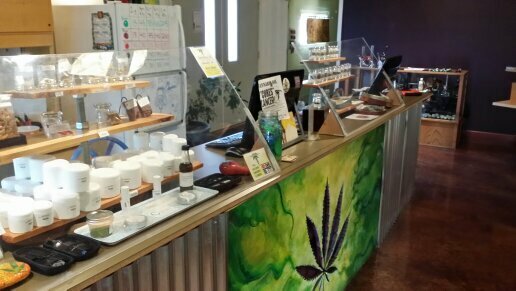 Broun said there were "very valid medical reasons" to use marijuana extracts or products. "It's less dangerous than some narcotics that doctors prescribe all over this country," Broun said. He said medical marijuana was a states' rights issue and Congress needed to "reserve the states' powers under the Constitution." Rep. Sam Farr (D-Calif.) co-sponsored the amendment with Reps. Rohrabacher, Don Young (R-Alaska), Earl Blumenauer (D-Ore.), Tom McClintock (R-Calif.), Steve Cohen (D-Tenn.), Paul Broun (R-Ga.), Jared Polis (D-Colo.), Steve Stockman (R-Texas), Dina Titus (D-Nev.), Justin Amash (R-Mich.) and Barbara Lee (D-Calif.). "The conflicting nature of state and federal marijuana laws has created an untenable situation," Blumenauer said prior to the House debate. "It's time we take the federal government out of the equation so medical marijuana business owners operating under state law aren't living in constant fear of having their doors kicked down in the middle of the night." Under the Obama administration, the DEA and several U.S. attorneys have raided marijuana dispensaries that complied with state laws. The DEA still classifies marijuana as a Schedule I substance with "no currently accepted medical use," and the agency has engaged in an aggressive public relations campaign to diminish medical benefits. Currently, 22 states and the District of Columbia have legalized marijuana for medical use. Five other states -- Alabama, Kentucky, Mississippi, Utah, and Wisconsin -- have legalized CBD oils, a non-psychoactive ingredient in marijuana that may treat epilepsy. A number of studies in recent years have shown the medical potential of cannabis. Purified forms may attack some forms of aggressive cancer. Marijuana use also has been tied to better blood sugar control and may help slow the spread of HIV. Legalization of the plant for medical purposes may lead to lower suicide rates, according to one study. Thursday's vote follows changing public sentiment toward the government's failed war on drugs. A recent Pew survey found that 67 percent of Americans support drug policies that focus on providing treatment, rather than an arrest and prosecution. An overwhelming majority of Americans also support the legalization of marijuana for medical purposes -- a recent CBS News poll found 86 percent think doctors should be able to prescribe marijuana to seriously ill patients. "Those who suffer under current policies are not faceless," Blumenauer said. "They are not statistics. They are our neighbors and live in our communities. They are the owners of small businesses that are so important to our economy, and patients with conditions -- often desperate and painful -- who have turned to medical marijuana to help them get through each day. They're not the enemy, and it's time we stopped treating them like it." "This historic vote shows just how quickly marijuana reform has become a mainstream issue. The last time a similar amendment came up it didn't come very close to passing but, since then, more states have passed medical marijuana laws and a couple have even legalized marijuana for all adults. More states are on this way later this year and in 2016, and it's clear that more politicians are beginning to realize that the American people want the federal government to stop standing in the way. If any political observers weren't aware that the end of the war on marijuana is nearing, they just found out." CORRECTION: An earlier version misidentified Rep. Earl Blumenauer's state. It is Oregon, not Washington. I do not buy, sell, cultivate, manufacture, or use any illegal substance. Any postings I make on this forum are purely for entertainment purposes. Any pictures that I may post have been created by artificial means from images gathered from the internet and other sources. Any statements made, other than this paragraph, should not be considered as truthful. 30 vote margin which was unexpected! This is a HUGE victory for us in non mmj states!